Adoptee-Led, Adoption Reform Conference: Early Registration! 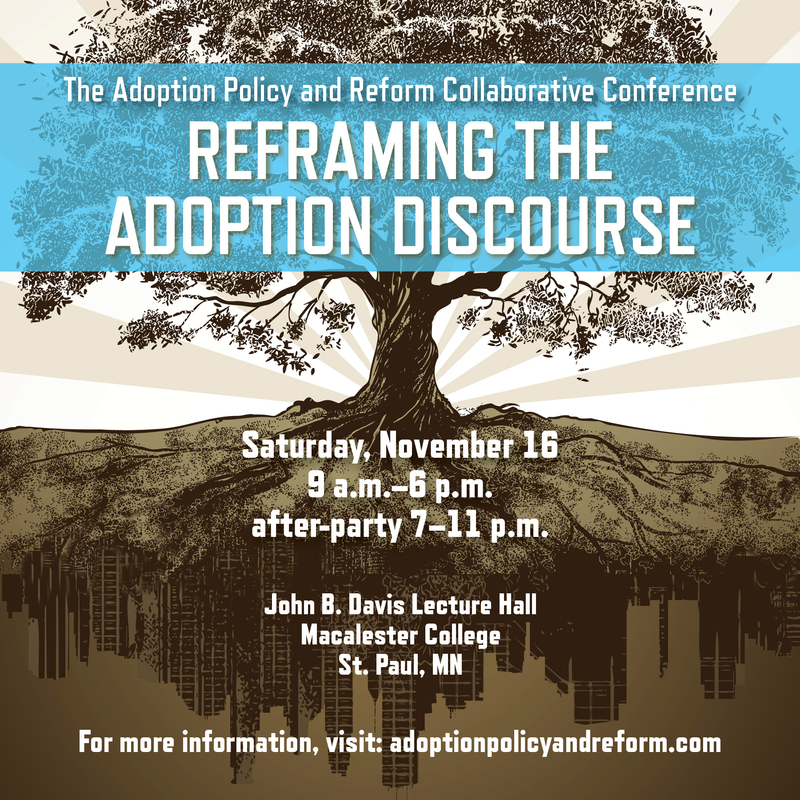 Early registration is now open for the Adoption Policy and Reform Collaborative’s conference: Reframing Adoption and for the Minnesota Transracial Film Festival, November 15 and 16 in St. Paul, MN. Adoptees, original/first parents, and adoptive parents are all invited to attend. Space is limited. Register now! I already did. Why go? Because you have the opportunity to attend the Minnesota Transracial Film Festival on November 15. Among the films are the amazing Closure, which I wrote about here; plus Where Are You Going, Thomas? by Jaikyoung Choi; Tammy Chu’s Searching for Go-Hyang; and Ramsay Liem and Deann Borshay Liem’s Memory of Forgotten War. There will be a (no doubt exciting and powerful) panel discussion with many of the people involved in the films. Featuring: Jane Jeong Trenka, Marissa Lichwick-Glesne, Robert O’Connor, Katie Hae Leo, Liz Raleigh, Amanda Woolson, Soo Jin Pate, Lisa Marie Rollins, Kelly Condit-Shrestha, Susan Ito, Chad Goller-Sojourner, JaeRan Kim, Nicole Callahan, Susan Branco Alvarado, Joy Lieberthal Rho, Michelle Johnson, Sandy White Hawk, Mary Mason, Shannon Gibney, and many more! Anyone who has been following adoption issues knows that these folks are among the motivated movers-and-shakers and the catalyst cage-rattlers in the adoption community, in the US and globally. Adoptee writers, advocates, poets, artists, academics, researchers, and others will be there. Change is in the air, and it’s definitely happening here. Come for the workshops, stay for the after-party. Serious conversations, serious partying. Be there. Early registration is available here at AdopSource. Lots of people and organizations have been working hard on this conference, which will be amazing. A special shout out to the folks at Land of Gazillion Adoptees and at Gazillion Voices. Well done. 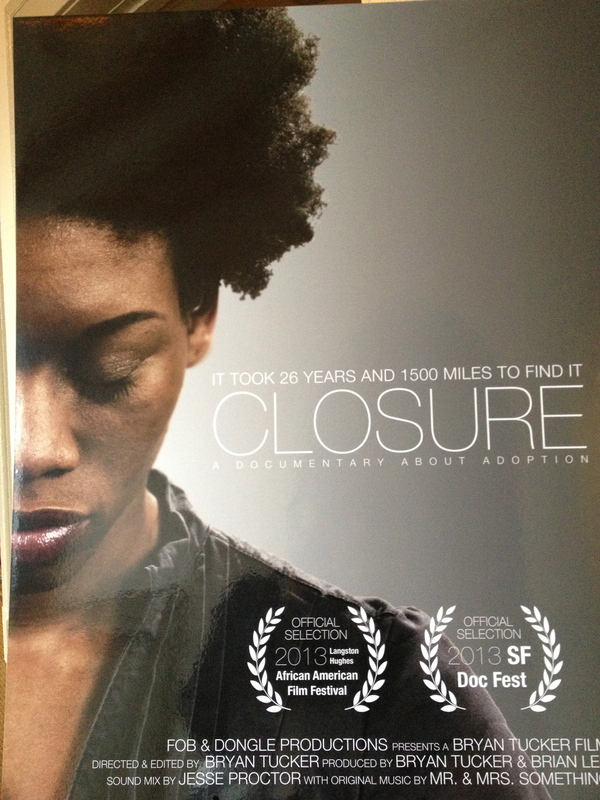 This entry was posted in adoptees, Adoption Policy and Reform Collaborative, adoption reform, Gazillion Voices, Land of Gazillion Adoptees, Minnesota Transracial Film Festival and tagged adoptee artists, adoptive parents, birth/first parents, international adoption, US adoption by Light Of Day Stories. Bookmark the permalink. Same here, Tanya! It’s going to be amazing. What is it with Minnesota? Nice, activist, revolutionary? Who knew?